3 people. 29 countries. 0 faces. ← Hi, how are you. Austin, Texas. Tea Party Protest. Seattle, Washington. the entire seattle tea party. and michael., originally uploaded by lynnith. 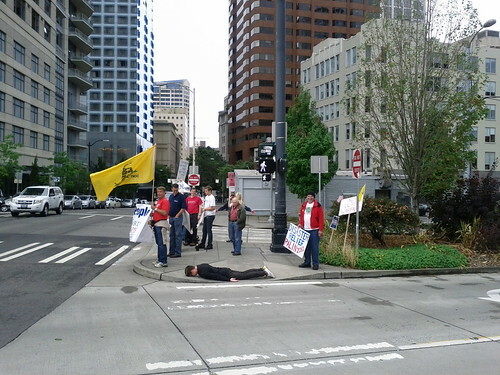 This entry was posted in North America and tagged facedown, obama, planking, protest, seattle, tea party, usa, washington. Bookmark the permalink. 1 Response to Tea Party Protest. Seattle, Washington. Brett on Lake Wakatipu, New Zealand.